Craft is a poet, playwright and arts educator. His poetry appears in Home is Where: An Anthology of African-American poets from the Carolinas, edited by Kwame Dawes. He is a recipient of the NC Arts Council Playwriting Fellowship and is the author of several plays including: Caleb Calypso and the Midnight Marauders, and Feelin Free: An Evening With Nina Simone. Craft is the creator of the first African-American Super Hero. With over a decade of collaboration with Howard L. Craft, Dacons-Brock has directed The House of George, North Carolina Central University's 2002 New Play Project winner, Kennedy Center - American College Theatre Festival contestant, and winner of The Independent Weekly's Best New Play 2002 and Best Leading Performance recognitions; The Wise Ones, a Top 10 in 2005 Best of the Year in Theatre recognition by the News & Observer with performances at NCCU and UNC Chapel Hill's Sonja Haynes Stone Black Cultural Center; Lonely Words, for which she received the KC-ACTF Meritorious Achievement Award for Excellence in Theatre Direction/2007; and world premieres of Craft's Tunnels, Stealing Clouds, and A Touch of Sugga. 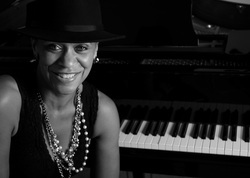 She has also previously collaborated with Walltown Children's Theatre's executive and artistic director, Cynthia Penn, most recently on last season's WCT production of The Durham Nutcracker, and Burning Coal's second stage production of For Colored Girls Who Have Considered Suicide When The Rainbow is Enuf. Prior to that, Dacons-Brock and Penn worked together on Wings, a production of the NCCU Julius L. Chambers-Biomedical Biotechnology Research Institute Export Grant from the Center on Minority Health Disparities in collaboration with the NCCU Department of Theatre. Dacons-Brock also directed Indigo Blue's music composer and jazz vocalist, Lenora Helm-Hammonds, in Soul Gone Home, the Opera, featuring music by cellist Timothy Holley, pianist Ed Paolantonio, percussionist Thomas Taylor, Jr., and saxophonist/flutist Ira Wiggins. Other plays directed by Dacons-Brock include: Eubie!, KC-ACTF nominee featuring jazz vocalist Mavis Swan Poole; Flyin' West, KC-ACTF semifinalist featuring actress April Parker Jones; Jelly's Last Jam, with music by jazz pianist Chip Crawford; Bubbling Brown Sugar, KC-ACTF semifinalist with music by the late Brother Yusuf Salim; Death and the King's Horseman, KC-ACTF top six finalist in the Southeastern Region featuring Nigerian drummer Shola Olaoye; Home, The Musical; along with One Mo' Time, Crowns, Mama I Want to Sing, and a host of other plays. She looks forward to directing Raleigh Little Theatre's production of the Tony Award winning musical, Caroline, or Change, which will have a February 2014 run. As a former professor of theatre at North Carolina Central University, Dacons-Brock was a 2008 recipient of the University of North Carolina Board of Governors Award for Excellence in Teaching.